OWNER SAYS BRING ME A CONTRACT. OFF THE RENTAL MARKET SO I CAN MAKE THAT HAPPEN! Rising 22 stories above the sugar white sands of Panama City Beach, Aqua commands the most spectacular location on Florida's famed Emerald Coast. It was the developer's intent to design Aqua to standards that all Panama City Beach resorts would be measured. Iconic architecture, an array of resort amenities, and a true connection to the water blend beautiful design and creative living. All in the perfect location along the perfect beach. AQUA 707 has had recent upgrades, granite counter tops and professisonal decor. 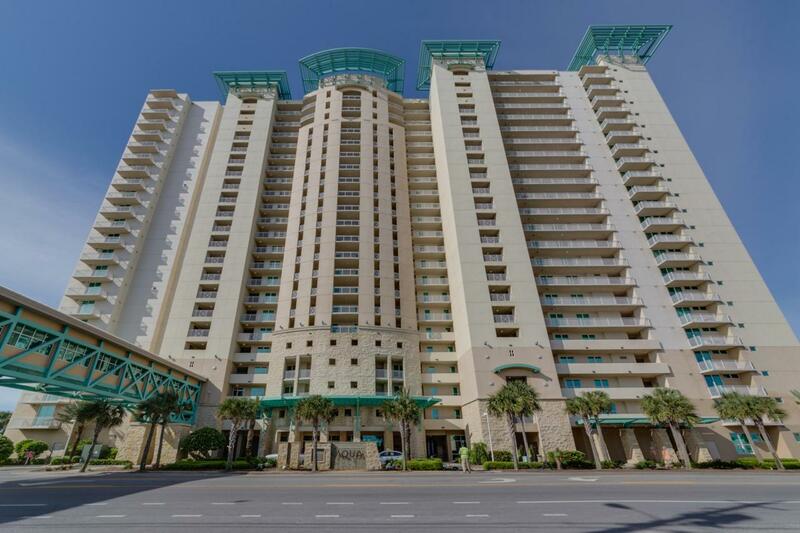 This 2 BR condo is a rental machine!. The floor plan is popular with rentals and buyers with the master on the Gulf, & 2 more bedrooms. Buy now for summer rentals! Preferred financing available. Listing courtesy of Aronov Realty Brokerage, Inc..